Artemis, Acrobats, Divas and Dancers. Artist: Nancy Spero, 1999. 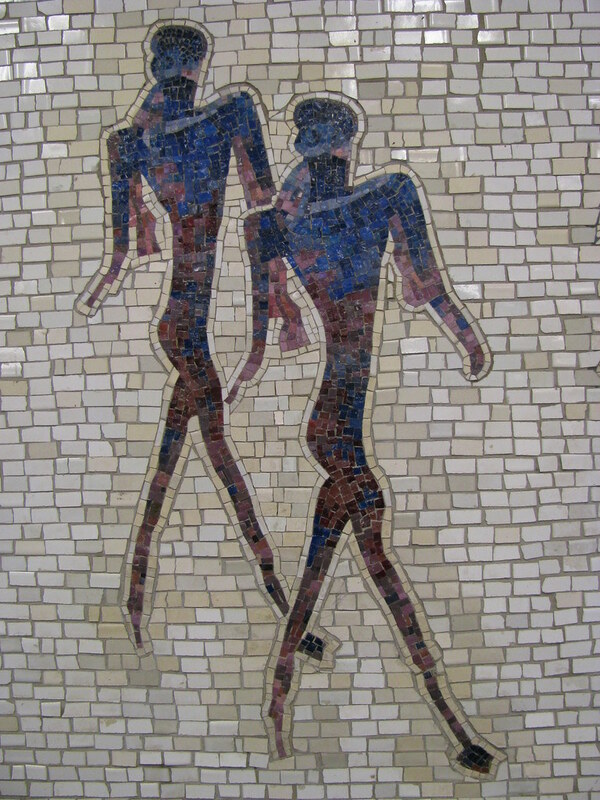 Installed 2004.
as seen at NYC’s Lincoln Center stop at Broadway for the uptown (northbound) 1 train. Image: GrrlScientist 2008 [larger view]. 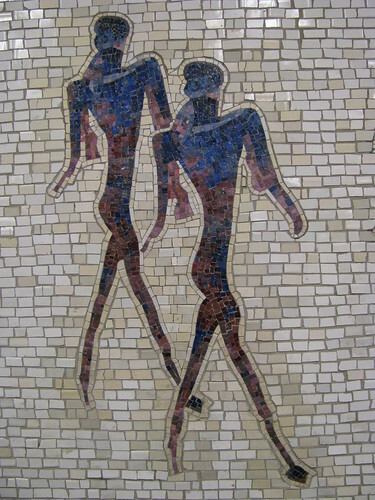 Glass mosaic murals depicting scenes of theater, dance, and orchestra-related subjects are scattered throughout this station. I have photographed tile artworks from several NYC subway stations now, so far, all are westside Manhattan subway lines, including the West 34th Street/Pennsylvania Station (A, C & E trains), Chambers Street (A & C trains), Houston Street (1 train), Pennsylvania “Penn” station (1, 2 & 3 trains) [subway art archives] and, my favorite subway station of all, the American Museum of Natural History station at 81st and Central Park West (B & C trains) [AMNH archives]. This entry was posted in My Pictures, NYC life, NYC Subway Art, NYC Through My Eye and tagged 1-train, local red line, NYC art, photography, subway art, West 86th street subway art. Bookmark the permalink.